London and Toronto, 25 March 2019 — OMERS Ventures, investor in breakout companies such as Shopify, Hopper, Rover and Contentful, announces today the launch of a €300m venture capital fund in Europe to make long-term investments in some of the continent’s most innovative technology startups. OMERS Ventures is a multi-stage, multi-sector venture capital investment arm of OMERS. The launch of this Fund supports a multi-year global strategy for OMERS, and follows a huge spike in startup activity in Europe. This announcement comes just two months after OMERS Ventures extended its presence to Silicon Valley. OMERS, one of Canada’s largest defined benefit pension plans, with more than $95 billion CAD in net assets, invests in a diverse range of assets in public and private markets, infrastructure and real estate globally, including London City Airport, Thames Water, Associated British Ports and Vue Cinemas in the UK. OMERS Ventures has hired Harry Briggs, a highly experienced entrepreneur and investor, as managing partner. 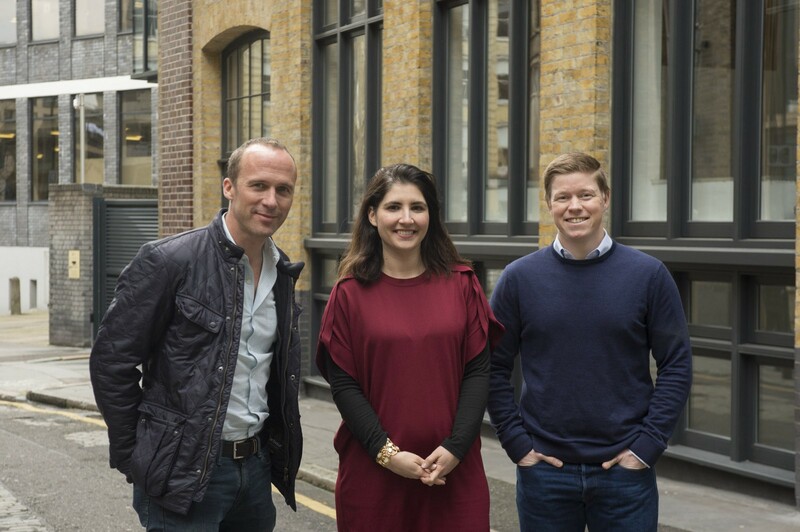 Harry is joined by another entrepreneur-turned-investor Tara Reeves, until recently a partner at leading seed investor LocalGlobe, and Henry Gladwyn, who previously managed seed investments for the founders of DeepMind and joins as principal. The Fund will have a Europe-wide multi-stage remit, with a sweet-spot of companies at Series A-to-B stage, and will typically invest between €5m-€10m per round, while having the capacity to follow on strongly in later rounds. Harry brings long experience of the continent’s entrepreneurial tech sector to the role having spent nearly six years with Balderton Capital, a top tier European venture firm and latterly three years at BGF Ventures. Harry’s investments include UK unicorn The Hut Group, which has raised over €1.6bn, Magic Pony (acquired by Twitter in 2016), GoCardless, Paddle, Touch Surgery, Appear Here and Revolut. Before Balderton, he co-founded Firefly Tonics, a health drinks company, which he expanded to 35 countries, before selling to private equity firm Langholm Capital. Tara Reeves joins OMERS Ventures as a partner from LocalGlobe, where she invested in, among others, Bricklane, Cleo, Cuvva, Floodflash, Tide and Trussle, making her one of Europe’s leading authorities on fin-tech and insure-tech startups. Tara also co-founded Turo, a car-sharing marketplace that has raised over $200m. Founded in 1962, OMERS is one of Canada’s largest defined benefit pension plans, with more than $95 billion CAD in net assets, as at December 31, 2018. It invests and administers pensions for almost half a million members from municipalities, school boards, emergency services and local agencies across Ontario. OMERS has employees in Toronto and other major cities across North America, the U.K., Europe, Asia and Australia — originating and managing a diversified portfolio of investments in public markets, private equity, infrastructure and real estate.